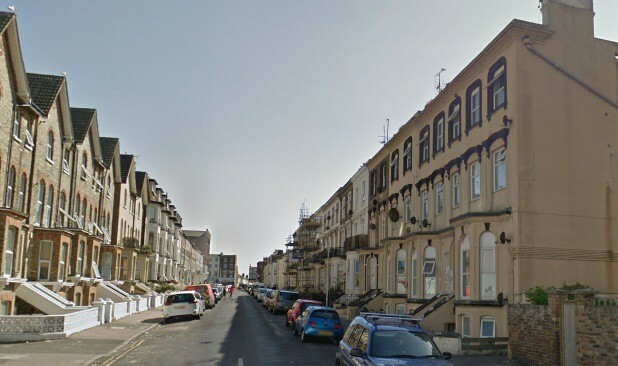 A London landlord has been ordered to pay more than £6,000 after letting a Cliftonville property which had a blocked fire escape. Thanet District Council successfully prosecuted property firm Petley Limited for failing to comply with an Improvement Notice to remove the obstruction. Officers from the private sector housing team visited the basement flat in Athelstan Road in November 2016 and found that the only acceptable fire escape from a rear bedroom had been blocked off by a fence. Despite the landlord and his letting agent being given time to remove the fence and provide a safe way out from the flat, they failed to take action. On Monday, October 8, in a trial heard by a district judge at Folkestone Magistrates’ Court, Petley Limited of Osbaldeston Road, London pleaded not guilty to the charge of failing to comply with the Improvement Notice. The company argued that they had made attempts to carry out the works and had left it to their managing agent to deal with. The judge did not accept that the company had a reasonable excuse and handed down a guilty verdict. The landlord was ordered to pay a total of £6,839. This includes a fine of £5,000, with £1,669 costs and a victim surcharge of £170. Cllr Lesley Ann Game, Cabinet Member for Housing and Safer Neighbourhoods, said: “This landlord allowed their tenant to continue living in a flat, which did not have a safe way out in the event of fire. This is not in any way acceptable and the council will continue to take a tough line with landlords who fail to take their fire safety responsibilities seriously. Private tenants concerned about their housing conditions should first contact the landlord and give them an opportunity to resolve any safety concerns. If this is put in writing and does not receive a reasonable response within 14 days, the tenant may receive some protection from retaliatory eviction. The council’s private sector housing team can help if the landlord does not respond to concerns within a reasonable timescale. Tenants can request an inspection by calling the team on 01843 577437 or by emailing housing.conditions@thanet.gov.uk. If the complaint is founded the council will take action to ensure the landlord provides a safe home. Private landlords can also contact the team for help and advice about their legal responsibilities.